One of my late season observations was that my hummingbird feeders were attracting painted lady butterflies and bees. Since the hummingbirds were gone, I took off the top of one of my feeders and put in some plastic landing pads. As you can see above, butterflies and bees are both attracted to this feeder. I am still using the 1 to 4 ratio of sugar to water. The bees will drink the liquid within an hour. As you can see in the video below, it does get rather busy, but the bees paid no attention to me and were not aggressive at all. 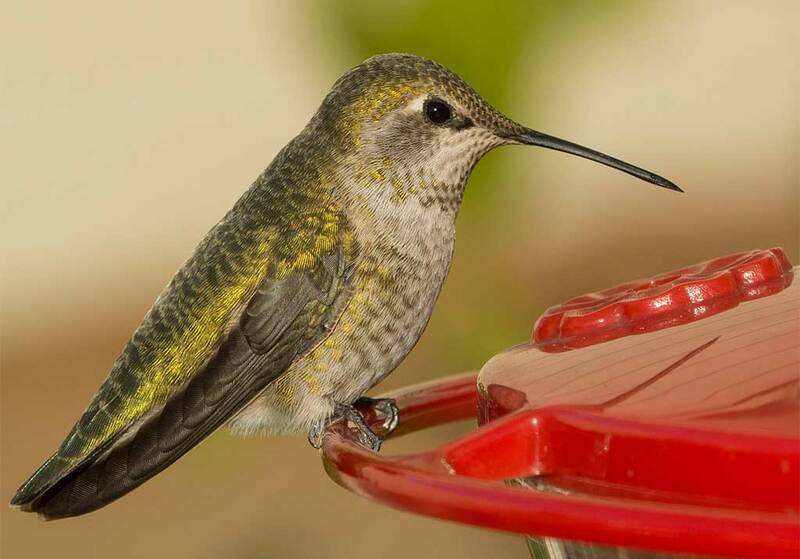 While my main focus in the garden is butterflies, I also like to encourage hummingbirds to come and visit. Hummers like to use many of the same flowers that butterflies prefer, so it’s really easy to get them to come and visit. 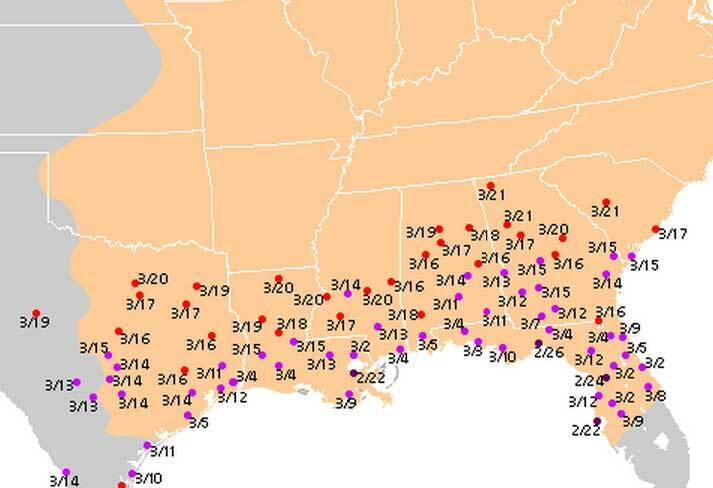 If you go to the website http://www.hummingbirds.net/map.html, it will show you exactly where the hummingbirds are and help you predict when they will reach St. Louis. This time of the year, mid-August, the champion nectar plant in my garden is lantana. Butterflies and hummingbrids both are attracted to its sweet nectar. 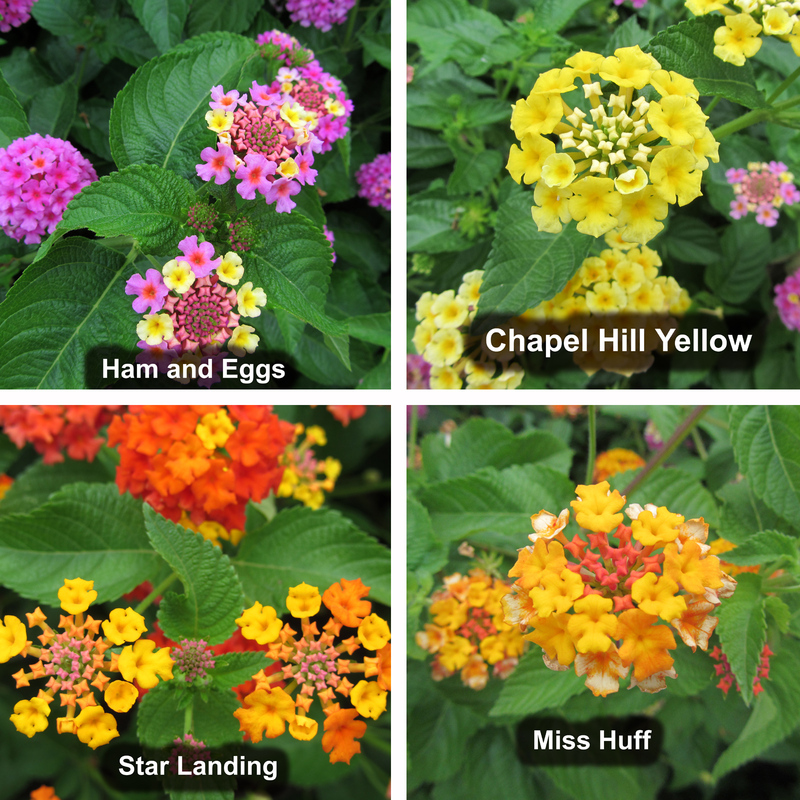 The four varieties pictured above are the ones I am testing out this year. Ham and Eggs is my favorite. I really like the pink and yellow combination. It grows in pots, hanging baskets and even does pretty well in partial shade. It about medium height and makes a great display. Chapel Hill Yellow is a new variety I’ m trying out and it seems to be doing well also. It’s a low-growing variety and would probably also do well in a hanging basket. Star Landing is a very vigorous variety and right now is four foot high and three foot tall. Its bright yellow and orange is a striking color combination. Miss Huff is the only variety which is a bit disappointing. It’s color combinations are washed out and looks like a faded t-shirt. It also is very vigorous and tall, but it won’t be invited back next year. 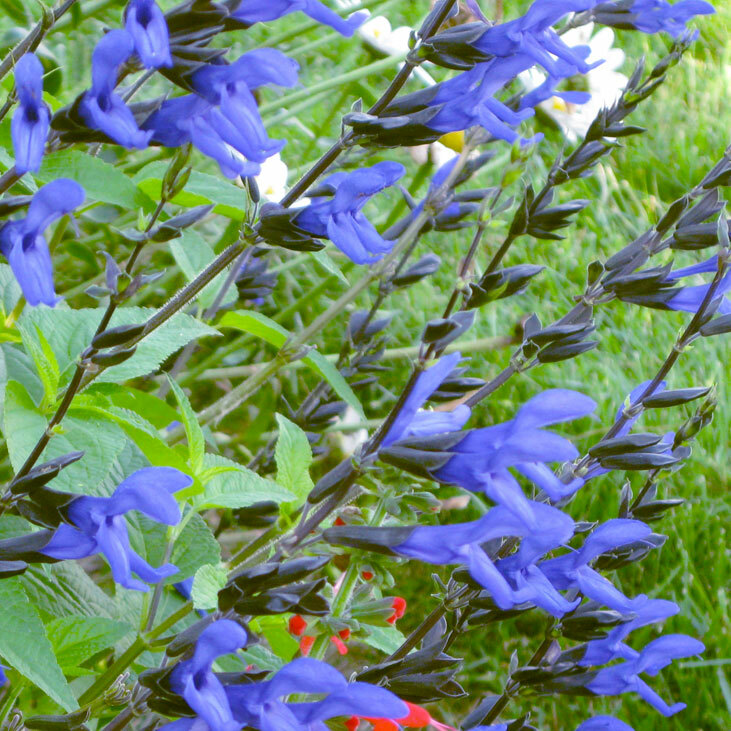 One trick I use with Black and Blue Salvia is to grow it next to my basement foundation. 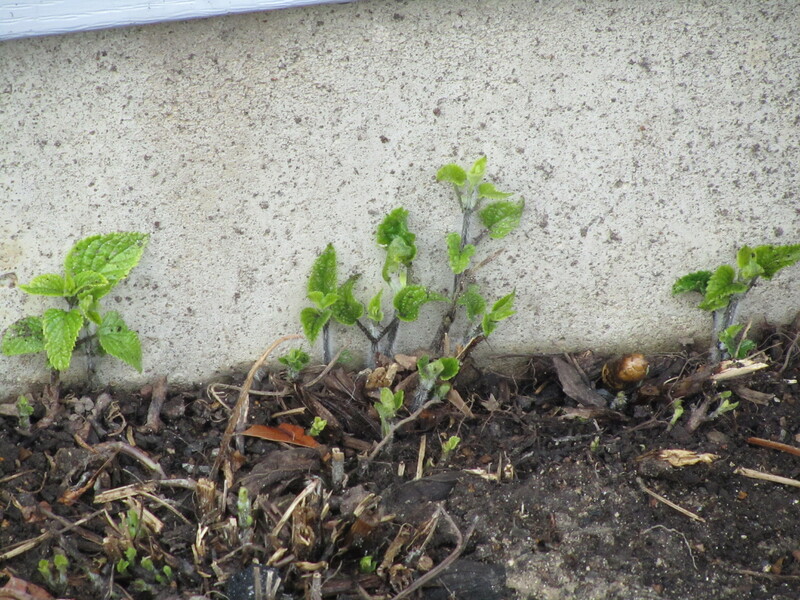 It has come back for the last 2 years that way while the plants which I left in the open have died. Do you know of any other plants which can benefit from this extra bit of heat? I grow this for hummingbirds, not butterflies.